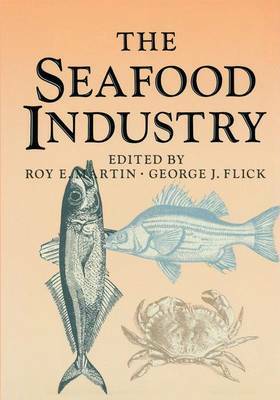 Although there are excellent books on specific aspects of the seafood industry, few, if any, offer both the breadth and depth of information that the editors and authors of The Seafood Industry provide here. The Seafood Industry is designed to cover the spectrum of seafood topics, taking the products from the water to the dinner plate and every stop in between. Information and insights into commercially important species of finfish and shell- and their handling and processing are furnished. Chapters are included on fish such wide-ranging topics as retail merchandising of seafood, plant cleaning and sanitation, transportation, and product packaging. Emerging issues and interests, such as aquaculture, waste treatment, and government regulations, also are covered. The information is written so that the processor, wholesale buyer, retailer, or consumer can understand it and put it to practical application. Yet the student and the scientist can find much valuable information within the various chapters. The material included here has proven its practicality, as it is adapted from a self-study course that has been used by hundreds of people in roughly forty states and fifteen foreign countries. The editors and authors have made every effort to furnish the most up-to-date information and technologies available. However, as with any dynamic industry, change is constant. Fishery stocks ebb and flow; consumption patterns shift; new technologies are devised and implemented; and government rules and regulations are rewritten and enacted.